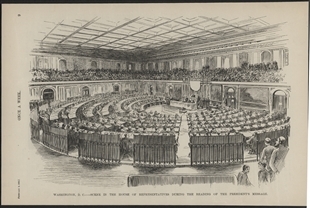 Illustrated news journals often gave readers an assortment of scenes from the Capitol at the start of a new Congress. 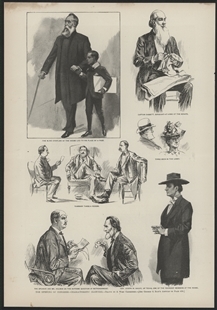 House Chaplain William Milburn is the most polished of the illustrations on this page from 1892. Blind for decades, Milburn relied on House Pages like the one in this image to assist him through the bustling throng in the House Chamber.